The development of a national blockchain roadmap and $100,000 of funding from the Morrison Government will help position Australia’s burgeoning blockchain industry to become a global leader. The roadmap will focus on a number of policy areas including regulation, skills and capacity building, innovation, investment, and international competitiveness and collaboration. Blockchain is a distributed ledger technology that records and verifies transactions within a computer network with potential applications for business and governments. It can assure and secure transactions, demonstrating usefulness across Australian industries including finance, legal, agriculture and supply chains. 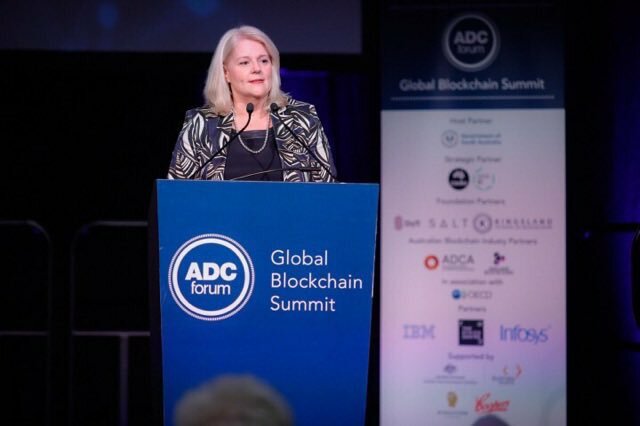 Minister for Industry, Science and Technology Karen Andrews said Australia needs to seize the opportunities presented by blockchain. “The national strategy puts us on the front foot in exploring how government and industry can enhance the long-term development of blockchain and its uses,” Minister Andrews said. The minister said that the government will work closely with blockchain and technology experts from industry and academia to develop the strategy, as well as with CSIRO’s Data61 to incorporate findings from their forthcoming future scenarios report on blockchain. Minister for Trade, Tourism and Investment Simon Birmingham said Australia’s clear strength in the development of blockchain technology for business was already giving the nation a competitive edge across a wide range of industries including agriculture, fintech, resources and services. “It is vital Australia and our tech companies stay ahead of the game in one of the world’s fastest growing technology sectors,” Minister Birmingham said. Previous investment by the Government in blockchain technology includes $700,000 to the Digital Transformation Agency in 2018–19 to investigate the benefits of using blockchain for government payments, and $350,000 to Standards Australia to lead the development of international blockchain standards through the International Organization for Standardization. The government is committed to supporting innovation and technology, and promoting Australian talent through the $1 billion National Innovation and Science Agenda, as part of our job-creating plan to grow Australia’s economy.